Windscribe, launched in April 2015, is a Canada based VPN service provider which has made a strong entrance in the market thanks to its strong encryption and dual-pronged approach to keeping your data and activities inaccessible to outside parties. It is a simple and secure VPN service provider that facilitates you to access the Internet with military grade encrypted privacy being connected with their world class private servers from all over the world. The company was created in the principle that the internet was established as an environment where people can freely express their beliefs and opinions. And because of this, the mission of this company was to provide unrestricted access to all its users in regards to internet information and data worldwide with proper privacy and anonymity. If you are looking for a VPN provider that covers many fronts to ensure your internet privacy, security and high speed connection, then Windscribe with the functional features and anti-spy add-on is a solid choice for you that will surely live up to your expectations. In this Windscribe VPN review I’ll introduce you first with the pricing plan of this Best Secure VPN service provider so that you can choose one plan that best suits your desire of using VPN service. Windscribe currently has 2 pricing Plans: Free Limited Plan, Unlimited Pro Plan. For a best secure logless VPN, Windscribe offers a good number of choice in its server locations. They have self managed 340+ servers spread out at 90 data centers across 46 countries worldwide. Their servers are located in the following countries: USA, Canada, UK, Hong Kong, France, Germany, Luxembourg, Netherlands, Italy, Mexico, Norway, Romania, Spain, Widen, Switzerland, Ireland, Denmark, Poland, Austria, Czech Republic, Hungary, Finland, Bulgaria, Belgium, Latvia, Moldova, Greece, Iceland, Ukraine, India, Russia, Turkey, Egypt, Azerbaijan, Israel, South Africa, Brazil, Australia, New Zealand, Japan, Singapore, South Korea, Taiwan, Malaysia, Vietnam, Thailand. Device & OS compatibility is a very important matter in VPN perspective, because if you purchase any VPN service that is not compatible with the device or operating system you use then you have loosen your money. So, in this Windscribe VPN review I’ll somewhat discuss about its device and OS compatibility. Windscribe supports multiple devices for their VPN applications. Whether PC, NoteBook, SmartPhone or Tablet—you can use it on all your devices, even simultaneously. Windscribe is also compatible with major operating systems including Windows, iOS, Mac, Android. Windscribe allows amazingly unlimited devices connection per account, which makes them perfect for those who face need of that facility. It will really seem great for people with families that need to protect more than one online connection or even just people that use a couple mobile devices in addition to their home computer. In this WIndscribe review, I’ll depict an overview of the security and privacy level of Windscrbe’s client software in detail. Windscribe’s powerful VPN software is built to establish a highly secured and military grade encrypted VPN connection between your computer and their VPN tunnel. For ensuring utmost privacy and security in any situation, Windscribe offers two different VPN protocols on their network: OpenVPN protocol for Windows, Mac OS X or Android users and IPSec/IKEv2 protocol for iOS users as IPSec/IKEv2 works best on iOS devices. Windscribe performs a symmetric encryption on the data that leaves your computer or device before it travels across their vpn tunnel and out to the Internet. 256 bit symmetric encryption is generally considered extremely strong. So they have used in their software strong AES 256-bit encryption by default. Weaker encryption isn’t even an option in there. When you use it, all in-and-outgoing connections is anonymized and no third-party can see your real IP address. I performed multiple tests at different IP-tracker websites to see with my own eyes about how much capable Windscribe is of hiding my real IP assigned to my local ISP. I am highly impressed that I found all the results of my tests supremely OK. I, for example, only show below here 2 images of mt test results got at renowned IP tracker websites whatismyipaddress.com and ipleak.net . The images show that Windscribe client software works perfectly in hiding my real IP address assigned to my local ISP, as my IP is not visible. You can only see Canada IP Address 199.66.88.100 perfectly altered by Windscribe. I performed five ‘DNS Leak’ tests at different DNS-Leak-Tracer websites and am delighted to say that I have experienced no DNS Leak during my tests. I show below here, for example, 5 images from my test results performed at cryptoip.info/dns-leak-test , www.dnsleaktest.com , hidester.com/dns-leak-test/, perfect-privacy.com/dns-leaktest and ipleak.net . You see the images showed the result of ‘No DNS Leak’, as you only see Canada DNS IPs altered by WindscribeVPN; not the DNS IPs assigned by my local ISP. So, does Windscribe client software has the capability to protect your public and local IP address from being leaked through WebRTC? VPN is here to provide security and anonymity to users. But, this tool only manages to protect the user’s privacy until it is connected. In most disconnection cases, users do not even realize that their VPN connections have stopped working. Cyber criminals and surveillance agencies stay on the lookout for these few unprotected moments to get into a system and compromise its security. Luckily, this will not be the case anymore with WIndscribe VPN users, because WIndscribe has introduced the ‘Firewall‘ feature in its new Windows VPN App. Windscribe launched an amazing powerful browser extension. You can use this extension along with desktop client on their own separately, but for much greater security and protection, I recommend you to use them both. Note that browser extension is free and includes many options for ensuring greater online privacy and security like Ad-Blocker, Untraceable, Anti-social, Split Personality. The extension is a set of tools that work together to block ad trackers and web beacons, restore access to blocked content and help you safeguard your privacy online. Ad Blocker – By activating it, It is engaged in blocking ads. By activation it, you can block annoying ads, tracking cookies and protect your computer from malware too that can be injected via banner ads. With it, you can enjoy surfing without ads. It also helps load websites much faster and makes using the Internet a more pleasant experience. Anti-social – It is engaged in stripping out all Twitter, Facebook, Pinterest, G+ and many other social trackers from websites you visit, that all might report your activities to their individual companies. Untraceable – Cross-site tracking is used nowadays to generate a profile on your unique online activities, which ultimately destroys your privacy. If you switch on ‘Untraceable’, It is engaged in removing known ad beacons and trackers from the websites you visit, that can track you across multiple websites you visit. Split Personality – It is engaged in rotating your browser’s user agent every time you start your browser, which helps fight browser fingerprinting. Whitelisted Site– You can keep given sites from being affected by the above options by using this. We do not store historical usage. We also store a timestamp of your last activity on the Windscribe network, this is done to weed out inactive accounts. We do not store connection logs, IP timestamps, or sites you visit (we are firm believer that one’s browsing history should be taken to one’s grave). Windscribe only offers email support and no live chat support. Their support team is available to help you 24x7x365. Contact them anytime, via Email, support team will come forward to solve your problems. They also provide a FAQ and ‘Setup Guide’ section for its users. In this Windscribe VPN review, I am delighted to say that Windscribe is, according to me, one of the best secure VPN service providers in VPN industry. Firstly, you can register with them using only email address and buy any premium plan with bitcoin anonymously. Secondly, my tests proves that Windscriber perfectly ensures military grade encrypted privacy of user’s identity and online activities while surfing, by hiding user’s local IP and geo-location and internet activities from unauthorized inspection of any third party. Thirdly, Windscribe does not keep such identifiable logs that would allow any third party to match any specific online activity to any specific user. Fourthly, Windscribe is also suitable and highly recommended for those users also who want to bypass any country’s Internet Censorship & Content Surveillance, as well as to access any Geo-Blocked Website, or to view or download any legal file or video with encrypted privacy. Fifthly, Windscribe is compatible with all major devices and operating systems, and they offer very user-friendly client app for their users. 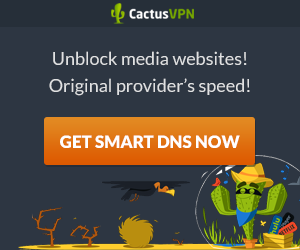 As a whole, their are, in comparison to its competitors, many front features of this provider that might have already drawn significant attention to VPN users worldwide. I love this provider.